These are some of the projects we've been working on for the past quarter, as suggested by the Fall 2016 Implementation team. To see how exactly these projects were assigned and brought about, visit this page. 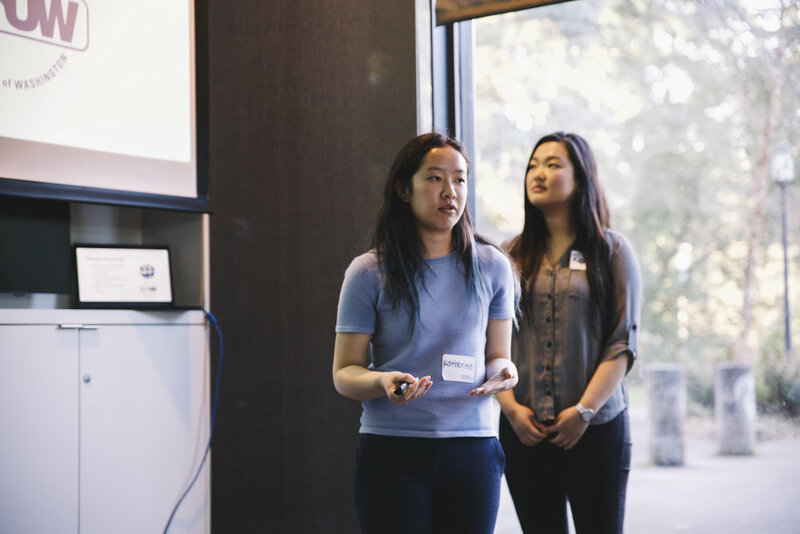 The Supplier Diversity Student Club will present at various leadership events hosted by ASUW. Following the presentations, students will be asked to sign the Supplier Diversity Pledge. Events: RSO Leaders’ Summit, Student Senate, OMAD Student Advisory Board, Diversity Student Commission meetings, and more. The UW Supplier Diversity Team will make a presentation at the RSO Leaders Summit in order to educate RSO leaders about supplier diversity. The presentation will explain the importance of supplier diversity and highlight some future events in which RSOs can be involved. In addition, the team will provide a directory of diverse-owned suppliers and their order forms from which RSO leaders may utilize for their respective organization. At the end of this presentation, the team will ask all leaders to sign a pledge card that addresses the importance of supplier diversity at the UW. A Facebook page where stories are shared of local diverse-owned businesses. In the form of an image captioned with a quote provided by the business owners; this will be a platform where the UW community can learn more about the current diverse-owned suppliers, as well as highlight hopeful future suppliers of UW. The purpose of this page will be to highlight diverse-owned suppliers and show the value they have to offer. The primary target audience will be the student body, but more importantly this page will target UW departments that currently do not have a set of diverse suppliers with the hope that they begin to see the value in purchasing from diverse suppliers. The purpose of these campaigns is to expose the term supplier diversity and make people curious about what this term entails. The Supplier Diversity Student Club has worked to create two modules that FIG leaders can select to teach their students during the 2017 Fall quarter. Freshmen will be educated about supplier diversity, separate into small groups and become experts in a pre-selected local diverse supplier, and present to the class their findings.